The NTMAs return for the 10th year! Celebrate the local music scene! 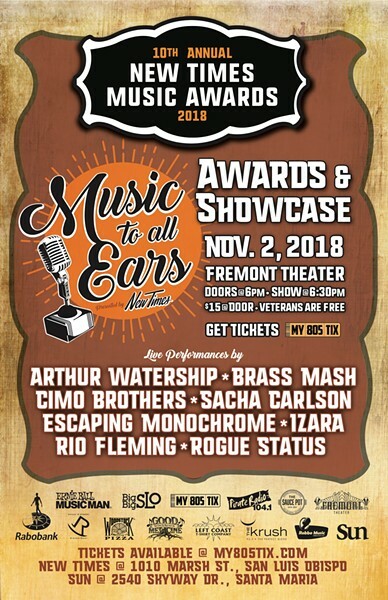 The 10th annual New Times Music Awards (NTMAs) is happening on Friday, Nov. 2 at 6:30 p.m. (all ages; $15, $10 for students; free for active duty military and veterans). Purchase tickets online at www.My805Tix.com.